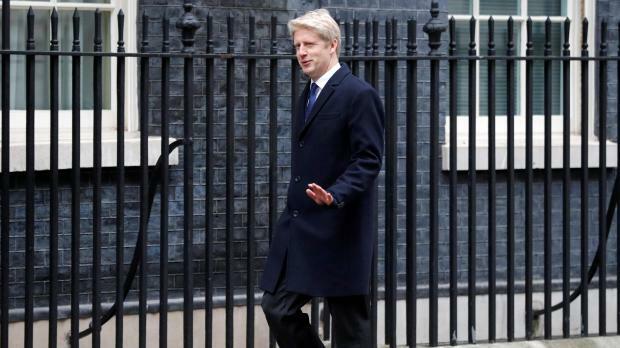 Jo Johnson, the younger brother of Boris, resigned from British Prime Minister Theresa May's government on Friday, calling in a withering critique for another referendum to avoid the vassalage or chaos that he said her Brexit plans would unleash. The pound sank to a day's low beneath $1.30 on the resignation and also fell against the euro. It was unclear whether others would follow Johnson out of government. May's office rejected his call, saying Britain would not hold a second referendum on its EU membership "under any circumstances".